Foreign currency trading and binary options are quite popular these days and people who are into investing should be well aware how different these two things are in order to make the necessary decisions. It is vital to have background information on this subject before deciding whether you should go for a high end forex trading platform such as the one offered by MXT Global or something else entirely. Since differentiating these two markets can be a bit confusing especially if you are still new to trading, here’s a side by side comparison between binary options and foreign currency trading. Forex: In foreign currency exchange, you are trying to speculate whether the value of a certain currency will increase or decrease compared to another currency and make a profit based on the difference in their value. For instance, the current exchange rate of Euros to US Dollar is 1.32 and you are expecting that the rates will increase hence you purchase Euros and bide your time until you realize the profit that you want. Binary Options: In binary options, the rules are quite simple. All you have to do is predict whether the price of a certain asset which can be a stock or a currency will increase or decrease based on a current price within a specified time frame. The payout will depend on a certain ratio which in this example we will consider as 80 percent. Taking the example above, if the exchange rate is 1.32 for Euros to Dollars and you assess that there will be an increase in, for instance, a week from today; you place a “Call Option”. If you are right, you get the profit based on the 80 percent payout ratio. Forex: Flexibility happens to be one of the reasons why there are a lot of people who are into this market and there is a huge chance that you will rake in a lot of money. The profit that you can make from forex trading is also unlimited. If you do not want to end up losing a lot of money, you also have the option to put a stop loss that cuts your loses when the rate decreases to a certain price. As much as there are advantages in forex, there are also cons such as the reliance on price change and currency volatility. When the movement of a currency is minimal, your gains would also be small. Binary options: People who are looking for a market where they can assess the amount that they can gain or loss with certainty will surely love the exact nature of binary options. Here, volatility is not an issue and you know how much you stand to lose or gain. Also, you will earn your money once your prediction is correct irrespective of the amount of change. But, there are some problems with binary options such as the reality that you risk losing your entire investment but you only stand to gain a certain percentage from 60 to 80. Forex Trading: Starting out small with a small amount is quite usual in the market. However, when you are already active in trading currencies, you need to time your decisions when to sell the currencies to get the biggest profit. You also have the freedom to choose when you will decide to sell it. Binary Options: Although you can also start out small with binary options, you have the option to add more money for bigger returns. However, you need to keep in mind that there is a set time period in a binary option. In that case, you need to wait until that fated day and wish hard that you’ve made a profit since it determines what you lost or gained automatically. Binary options and forex are two entirely different things although they have lots of similarities. Needless to say, having a clear idea between the distinctions of the two is surely a big help. 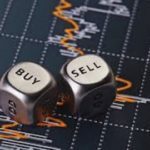 Previous post: Does Sell In May Apply to Forex?